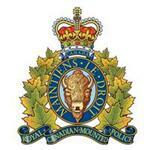 RCMP Alberta - On June 27, 2016 Sylvan Lake RCMP responded to a complaint of an attempted abduction of a 13-year-old girl. At approximately 11:00 p.m. a 13-year-old girl was out walking with friends near the library, in Sylvan Lake. She and her friends separated, and shortly after she noticed a vehicle being operated in a suspicious manner, and so she hid in a nearby bush. The male driver got out and grabbed the girl from the bush and pulled her hair. There was a struggle and then the young girl was able to break free and safely ran away from the driver. The male passenger remained in the car. · States "Lets find another one"
The Sylvan Lake RCMP are actively engaged in investigating this occurrence. An update will be provided by way of a composite drawing when available. The RCMP are asking anyone who may have any information that may assist in identifying the suspect(s) or suspect vehicle to contact the Sylvan Lake RCMP at 403-858-7200, or call your local police detachment. If you want to remain anonymous, you can contact Crime Stoppers by phone at 1-800-222-8477 (TIPS), by internet at www.tipsubmit.com, or by SMS (check your local Crime Stoppers [www.crimestoppers.ab.ca] for instructions.